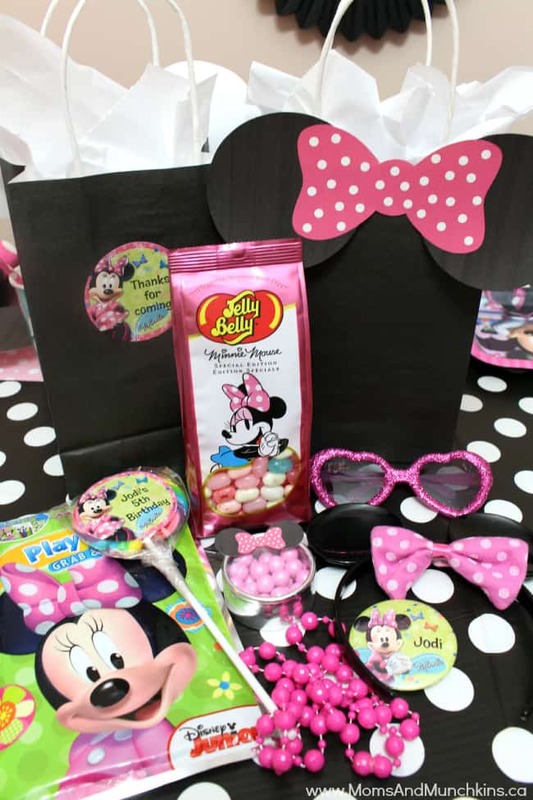 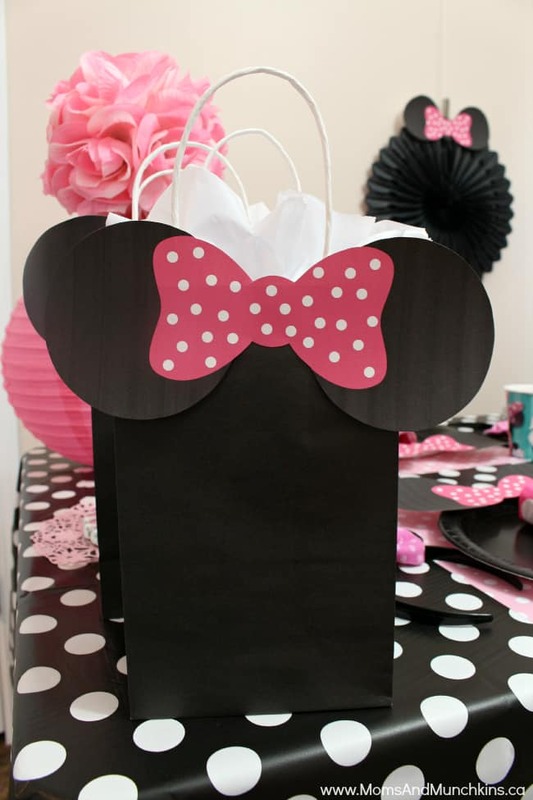 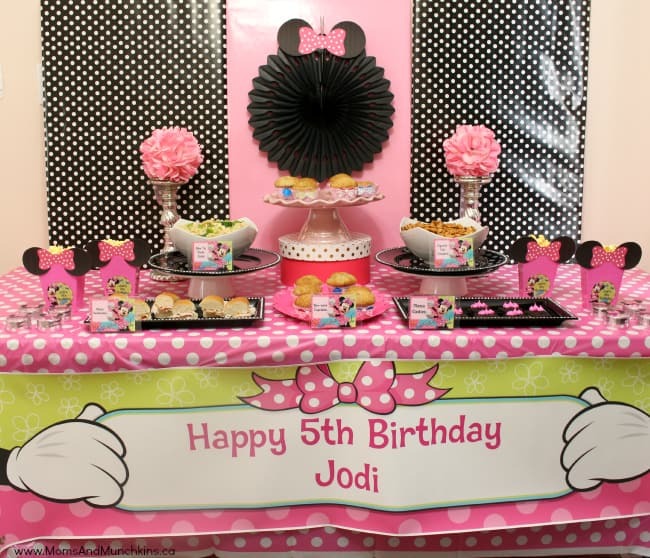 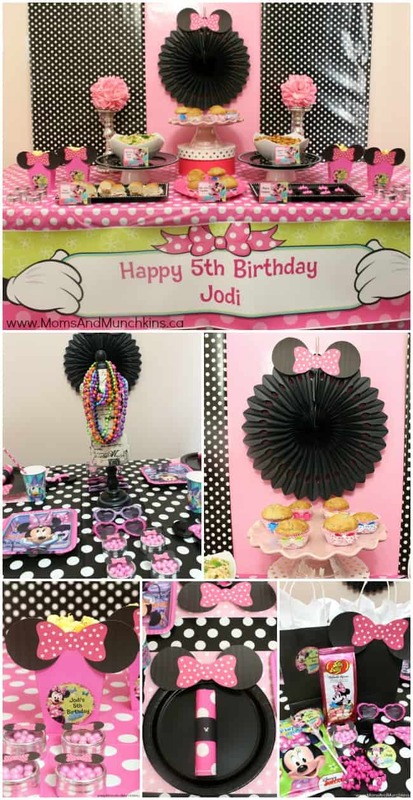 I’m excited to announce that my Minnie Party was featured on the Birthday In A Box website! 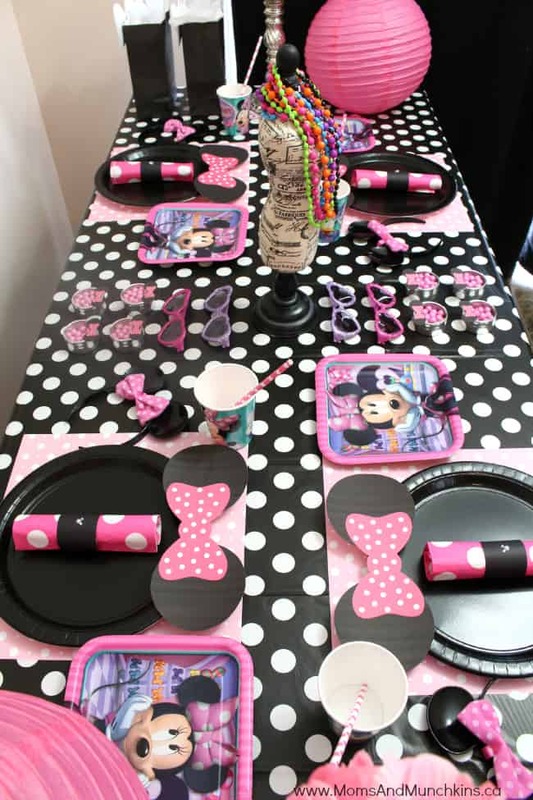 You can see all the details there including food ideas, games, decorating ideas and fabulous party supplies. 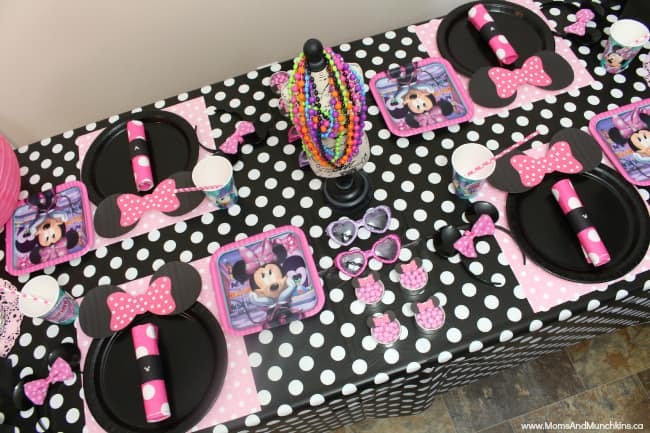 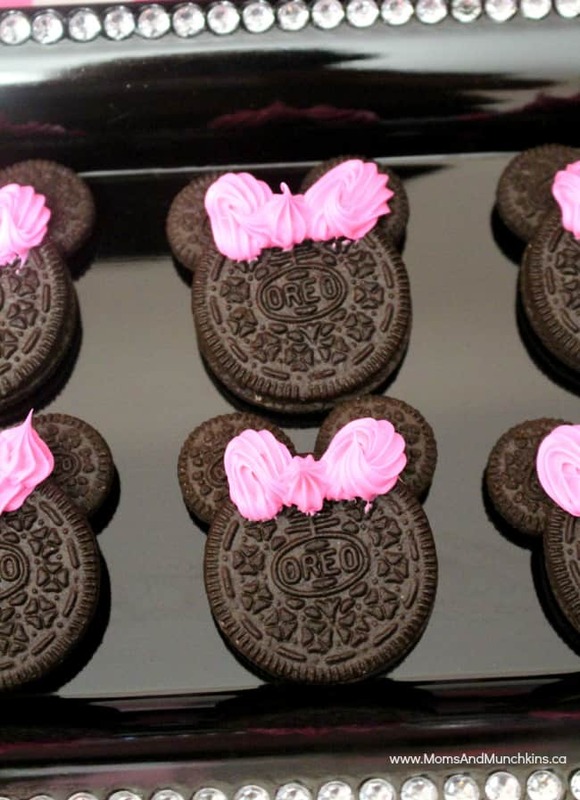 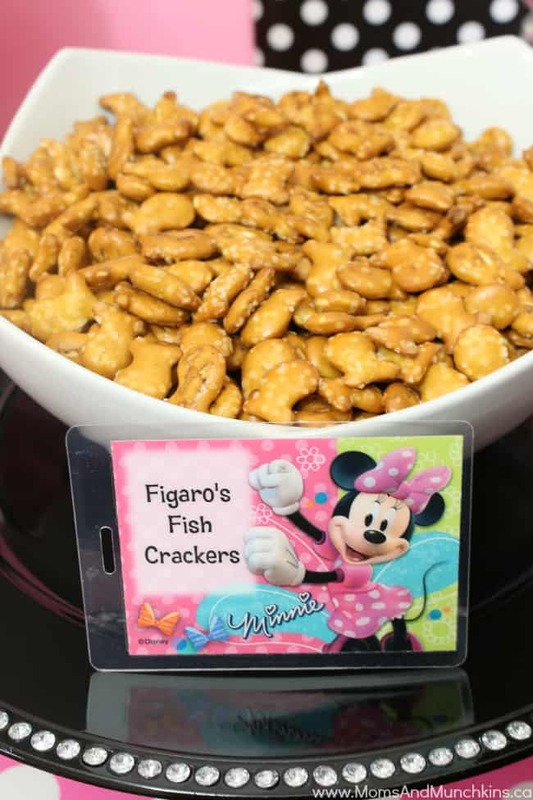 I’ll share the party photos with you here but be sure to visit the post on Birthday In A Box for even more great Minnie Party ideas! 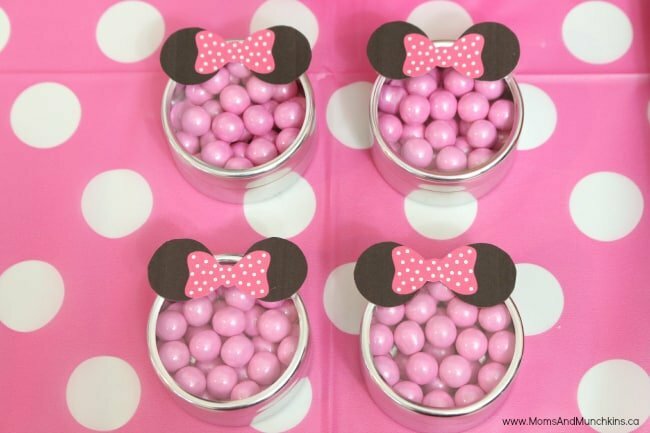 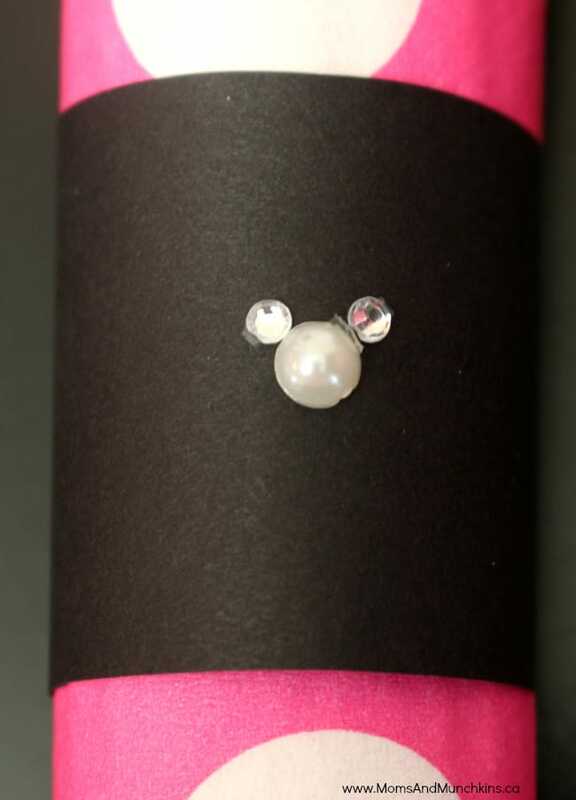 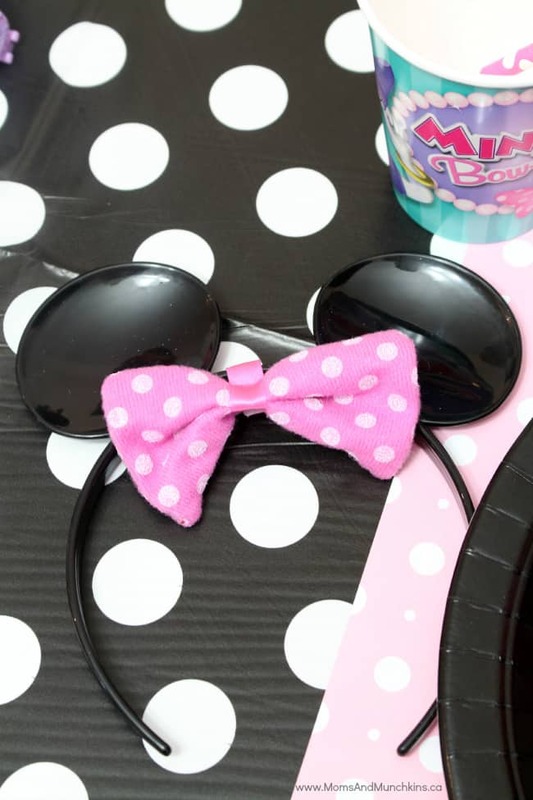 You’ll find the cute free printable Minnie Mouse ears on Chickabug. 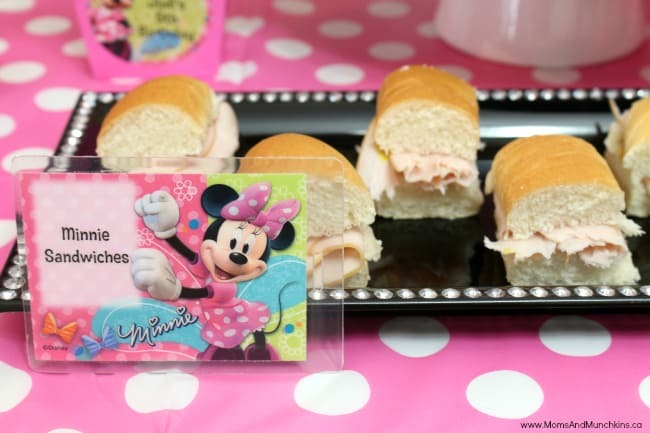 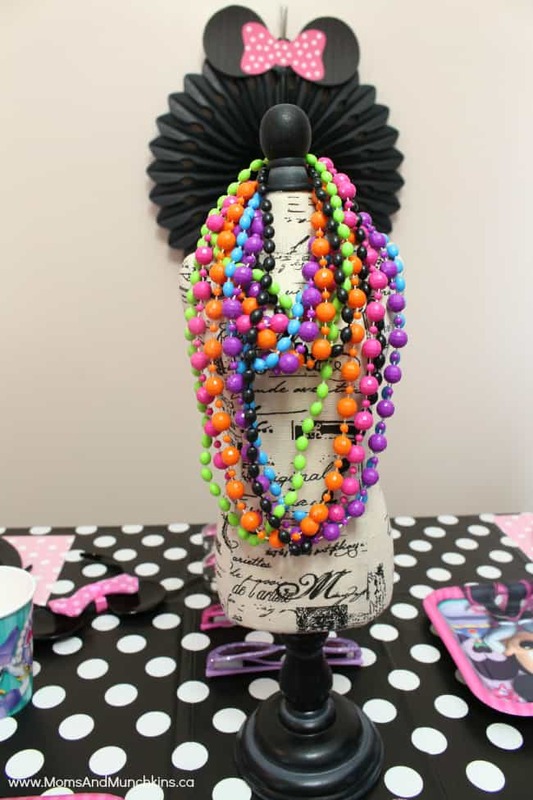 I’ve used them in so many areas of this party – I love them! 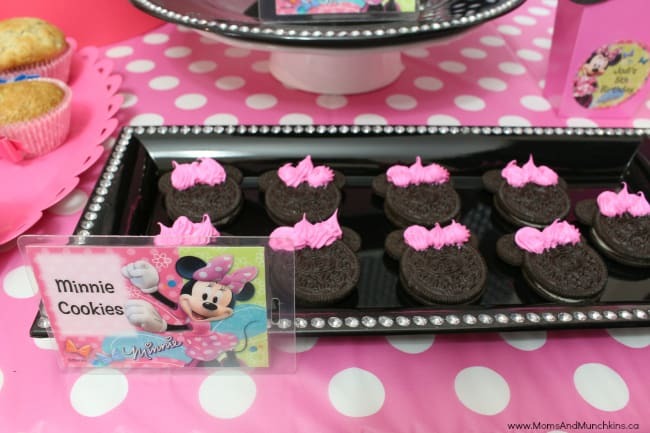 There are so many Minnie Party photos to share! 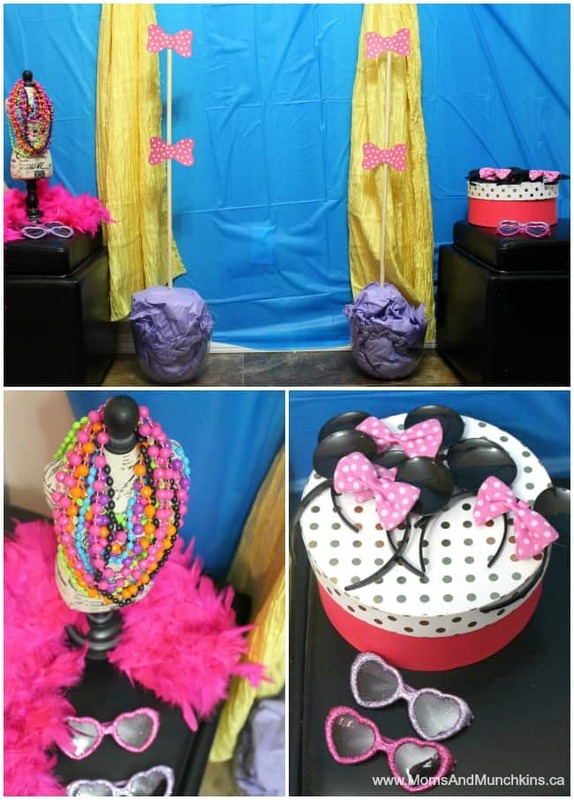 Check out all the creative game ideas on Birthday In A Box. 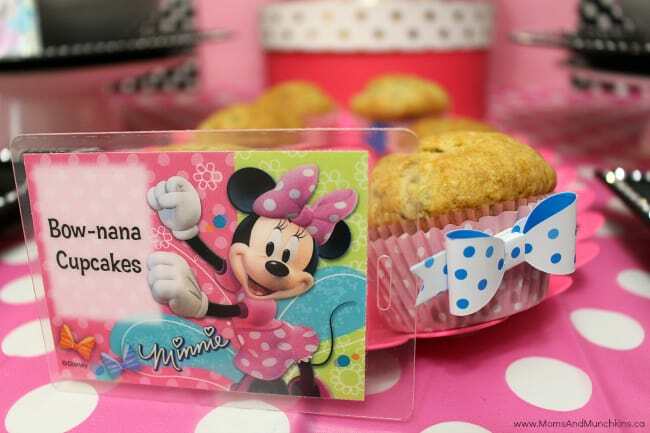 Easily add a cute touch to your cupcakes and muffins by adding a bow sticker to each cupcake wrapper. 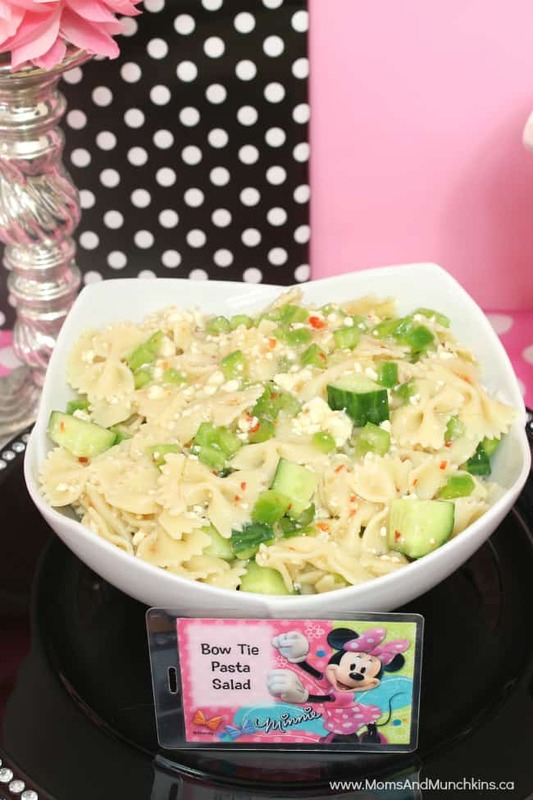 This Bow Tie Pasta Salad is our favorite Greek Pasta Salad recipe. 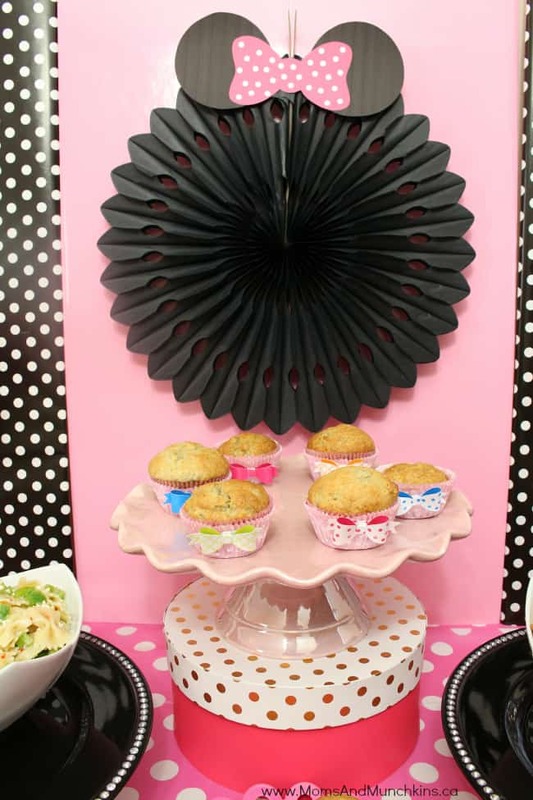 An easy way to add color to your backdrop is with wrapping paper! 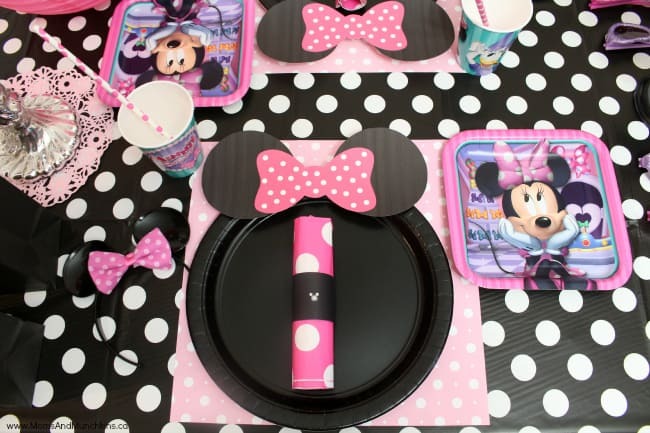 I use foam boards and cover them with different wrapping paper designs. 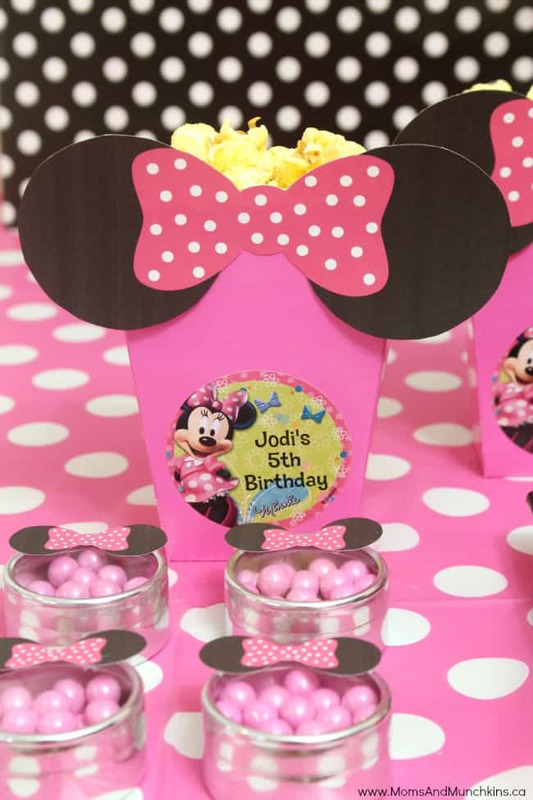 Birthday In A Box has several unique ways to add personalization to your party supplies for a customized party for your child. 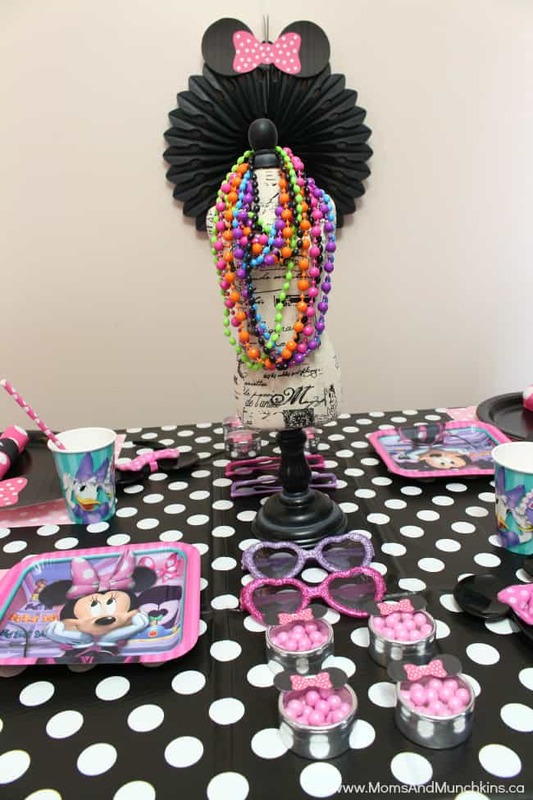 Minnie’s Bow-tique wouldn’t be complete without cute costume accessories like Minnie ears, Minnie sunglasses, colorful necklaces and more. 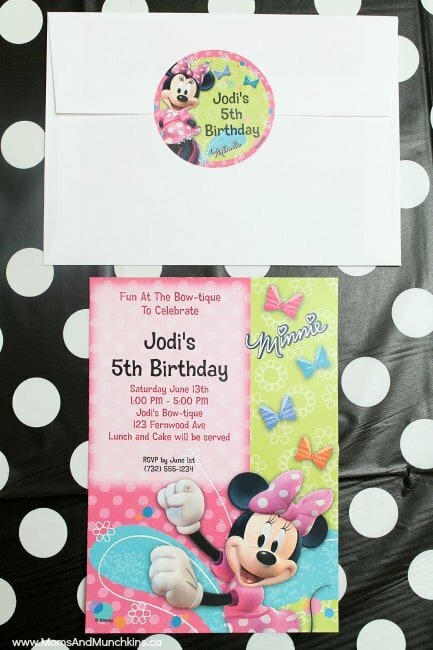 Photo booths are always a fun idea for parties and the photos make a great addition to the Thank You cards after the party. 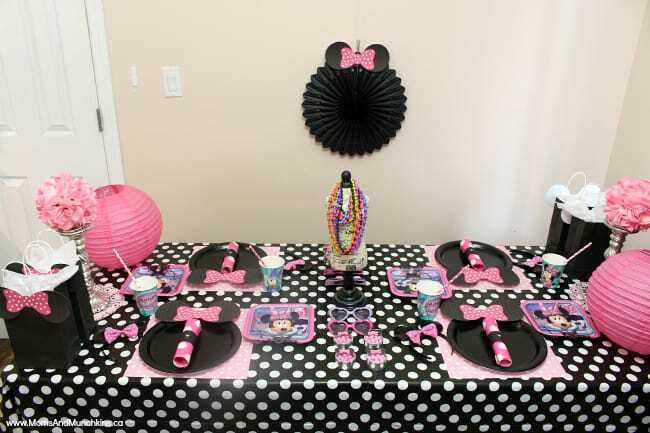 For this party, I created a little area to look like the Minnie Mouse Bow-tique store front. 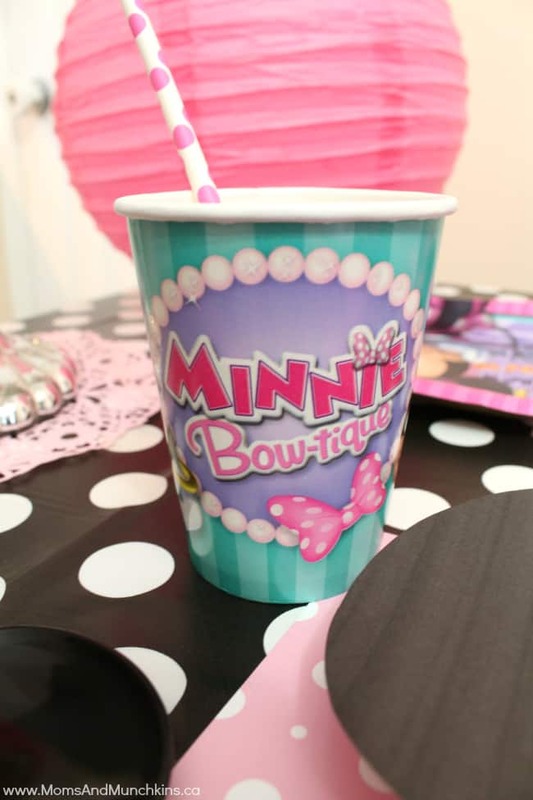 Find these Minnie Party supplies and more on Birthday In A Box! 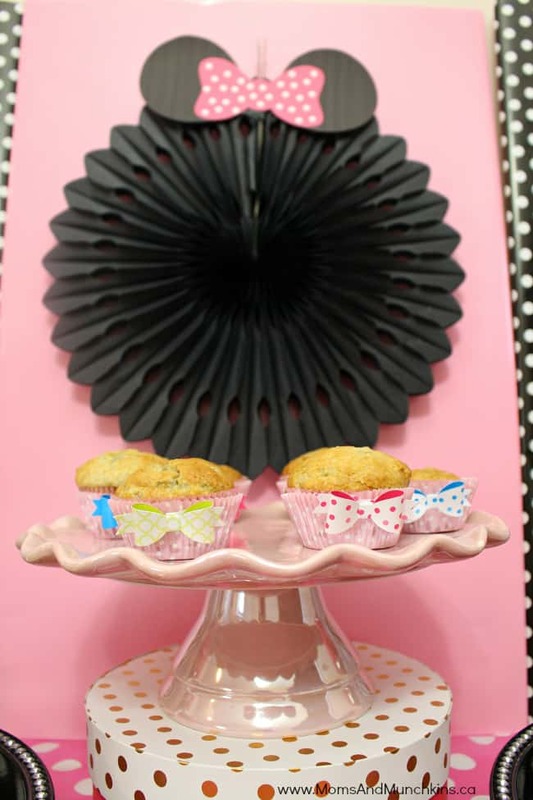 Disclosure: I was compensated for this post; however, all opinions expressed here are my own. 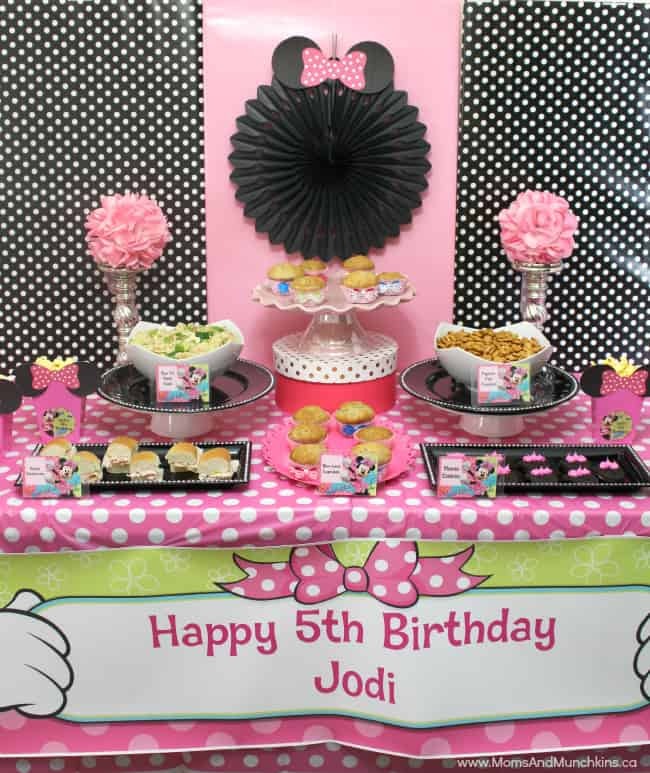 I am part of the Birthday In A Box affiliate program.